Guaranteed to bring a seasonal winter feel to any party or event. This compact unit will produce artificial snow over a distance of 6 metres. Ideal for mobile DJs and small parties. Considering purchasing the QTX SW-1 Mini Snow Machine? Have questions? Ask people who've recently bought one. Is the snow dry? As in will my guests slip on it if it's across an indoor walk way? Do you own the QTX SW-1 Mini Snow Machine? Why not write a review based on your experience with it. 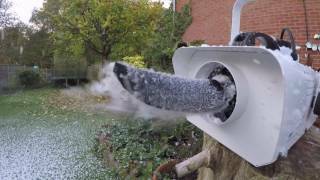 Great snow machine really chucks it out. Worked great and looks fab in white, bought for an xmas wedding and it went down a storm. Will be used for another 3 xmas parties next week. Gives a lovely effect of snow. 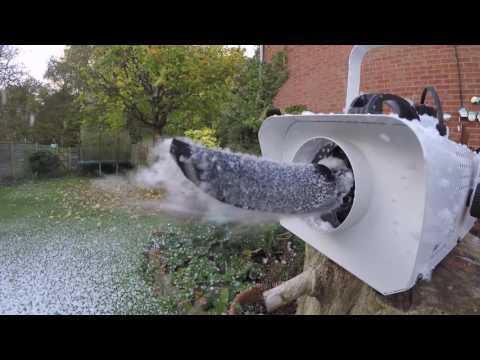 Seen a video for QTX SW-1 Mini Snow Machine online or have you own video? Check out QTX SW-1 Mini Snow Machine on DJkit.com!